After our celebration day in Sydney we took off into the Tasman Sea. 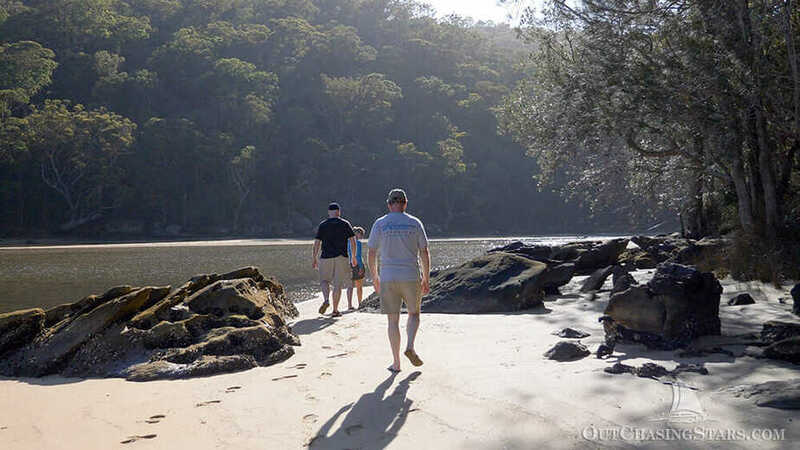 David’s family wanted to get some real sailing in with us, so we made the day trip to go cruising in Pittwater. Julie only had two more nights with us, so for ease of access we docked at the Royal Motor Yacht Club. It was nice to get the opportunity to show off my parallel parking skills to my in-laws. 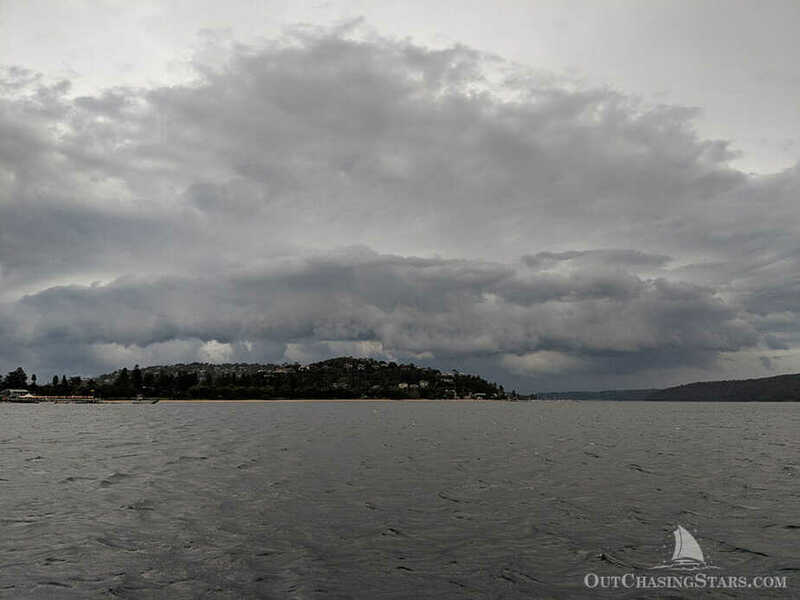 The RMYC is located in Broken Bay, north of the main town of Newport in the arm called Pittwater. As far as I can see, there are no courtesy mooring balls in the area and only one anchorage – Palm Beach (see below). With one day left, Julie wanted to hit a real Aussie beach. We ubered up to Palm Beach, just off of Barrenjoy Head. The east side has a very extensive beach. The sand is an amazing red color, and the beach is big enough that even in a summer day it wasn’t too crowded. Palm Beach, the east side. Next, we walked across to the west side of the peninsula, to the beach in the bay side. This is much more of a lake front. The seabed is full of sea grass and is kind if silty. Not beautiful like the east side. Julie and I rented water toys (kayak for Julie, paddle board for me) and paddled around the anchorage. The RMYC has a shuttle that operates daily around the area. 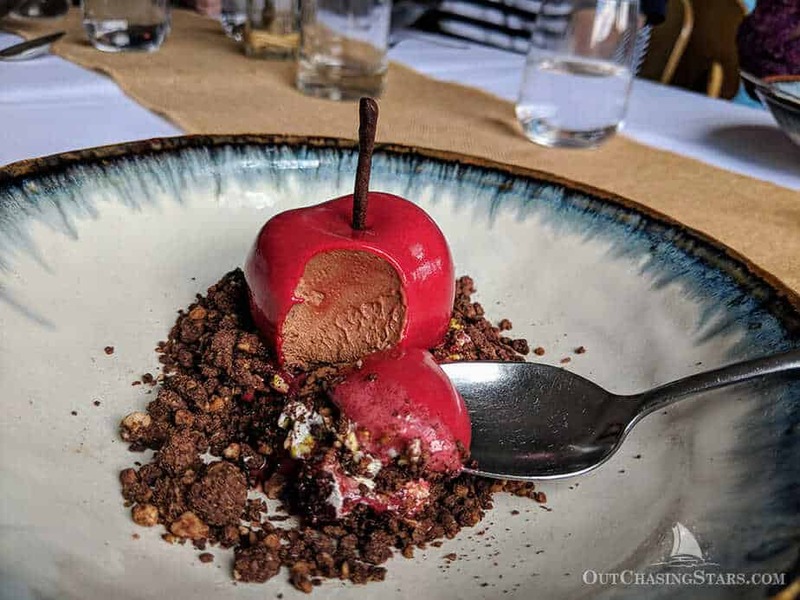 We also had an excellent casual meal at Salt Cove, located in the yacht club. A great activity that we missed was walking out to the Barrenjoy Lighthouse. After Julie left us, we fueled up and departed for Cowan Creek. It’s peak season here in Pittwater. Boats that came to Sydney for New Year’s Eve are starting to head north (either home or cruising the coast). Our first stop was Refuge Bay, where we picked up a pink courtesy mooring ball. 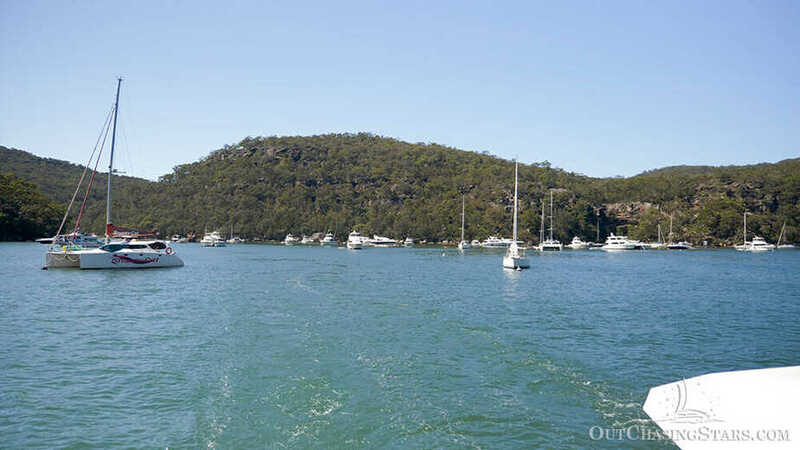 I had a really hard time finding information about cruising Pittwater and the mooring ball locations in the area, but as we pulled in, our chart had a handy note on it that said Refuge Bay was the last spot of courtesy moorings by the NSW Marine services. Further inland, the courtesy moorings are provided by parks services and are yellow (which is also the same color as the private moorings throughout the region). We were told by several sources that we can pick up a private mooring, as long as we stay near the boat. If the user of the mooring comes by, they will ask us to move in their friendly Aussie way. We were thankful that one of the courtesy mooring was free – much easier. On Google maps, there are about 7 boats between America Bay and Refuge Bay. Well, with it being peak season there were probably a hundred boats in this area. It was packed! We were very disappointed to find that the bay was full of massive stinging jellyfish called blubber jellyfish. A few people were still swimming, but we said no thanks. We took little Dipper up Refuge Bay and walked the Creek at low tide. We saw all kinds of interesting rock formations, stingrays, and the egg sac of a sand snail. We’d heard about a waterfall, but perhaps it was too dry, we couldn’t find it. The beach at Refuge Bay is small and very popular. Out for a walk in the creek. Looking back at Refuge Bay. 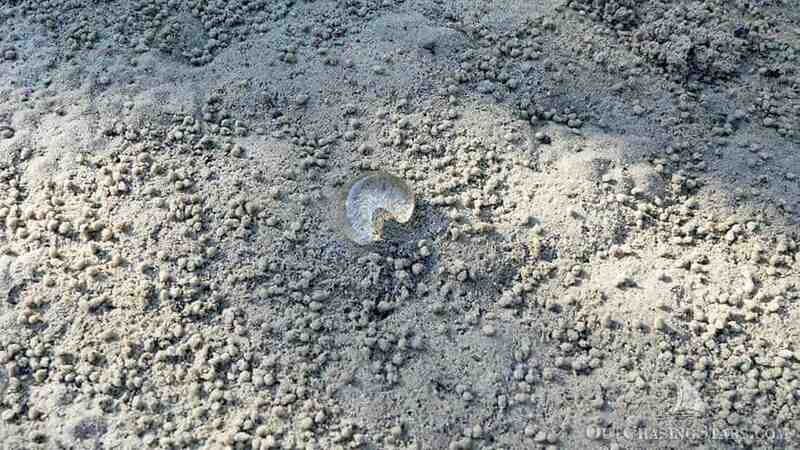 Egg casing for a sand snail. Thomas and I found something interesting…. Blubber jellies! Blubber jellies everywhere! In not-so-fun stuff, I broke our washer! Actually, I just clogged the drain. We thought it was shells that I accidentally left in my pocket, but it turns out it was a dryer sheet. David had to slog through troubleshooting, but he figured it out! 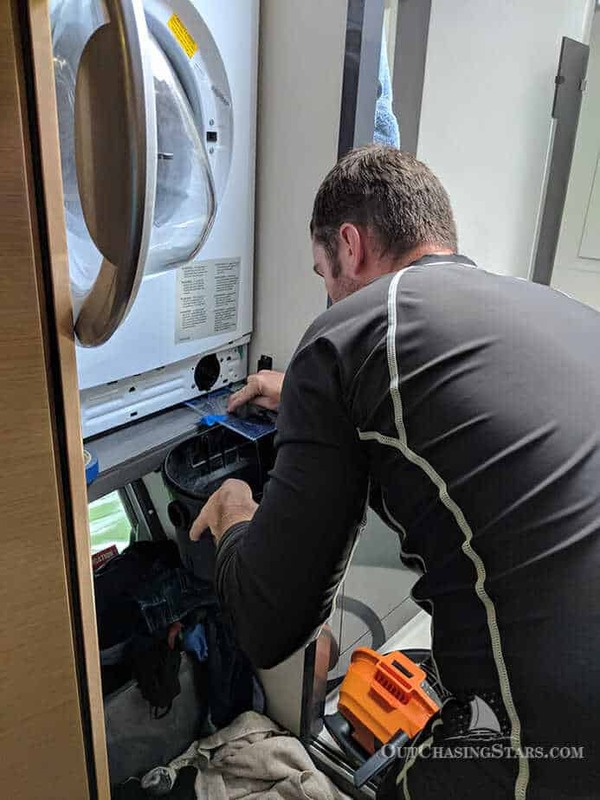 David fixing the washing machine. 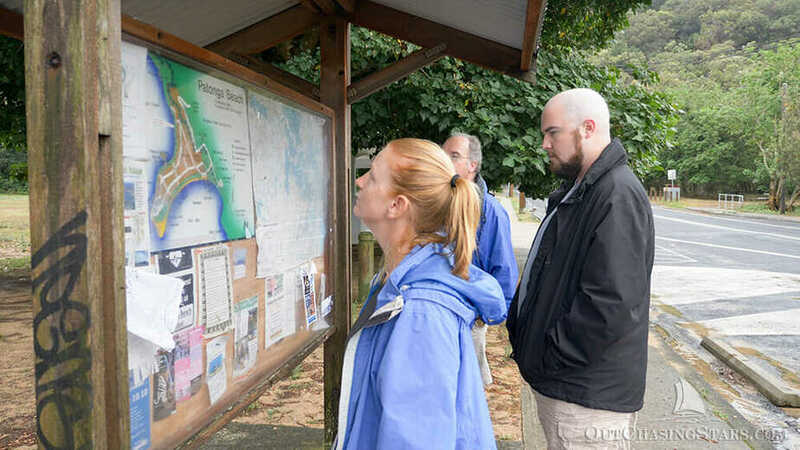 After one night we moved to Looking Glass Bay, across from the Cottage Point Inn and Restaurant. There are two of the parks courtesy moorings off the inn, but they were occupied. We stayed one night in the very deep bay, running our aircons through a record heat wave, and the next morning we picked up and moved over to the courtesy mooring. We called and snagged the last lunch table at Cottage Point and had an incredibly memorable meal. It’s expensive, with a set menu and lunch only except for Friday and Saturday. The food was so very good and incredibly artistic. The view was stunning, and our entertainment was watching the boaters come into the dock at the restaurant. I’d guess that 90% of their business came by boat. Two mega yachts anchored off and dinghied their parties to shore. Eventually, boats double parked on the dock. After lunch, Brian and I walked up and I’ve Cottage Point to the general store, which had a small frozen meat selection, and other general foodstuffs. It felt good to walk off (part of) our big meal. A southerly was coming to the area, so we prepared for our next jump up the coast. 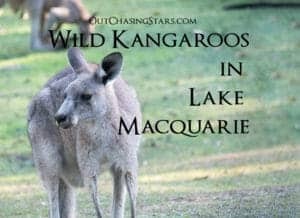 We spent a few hours anchored off Patonga to pick up a special delivery (yay!) and check out the town. Very cute. Special delivery to Starry Horizons. David’s parents decided to spend an extra night in Sydney instead of making the jump with us, so we dropped anchor in 7′ of seagrass off of Palm Beach. The only good thing about the anchorage is the proximity to the mouth and the dock access at The Boathouse Restaurant. The bad part – a wicked storm rolled in and despite having what would be sufficient rode out (7 to 1), we dragged for the first time. 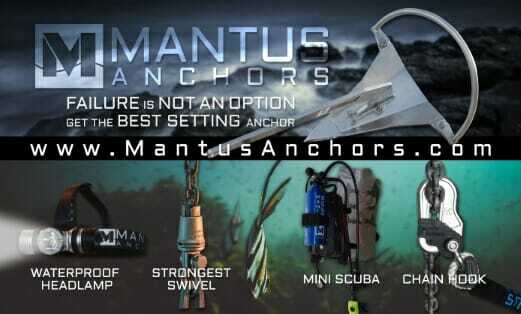 It took a few tries to get the anchor back and solid, including having the clean the anchor of seagrass. We ended up putting over 100 feet of chain out before we were satisfied. Thankfully most of the rain missed us, and we ended the evening with a glorious sunset. That’s a scary looking cloud! 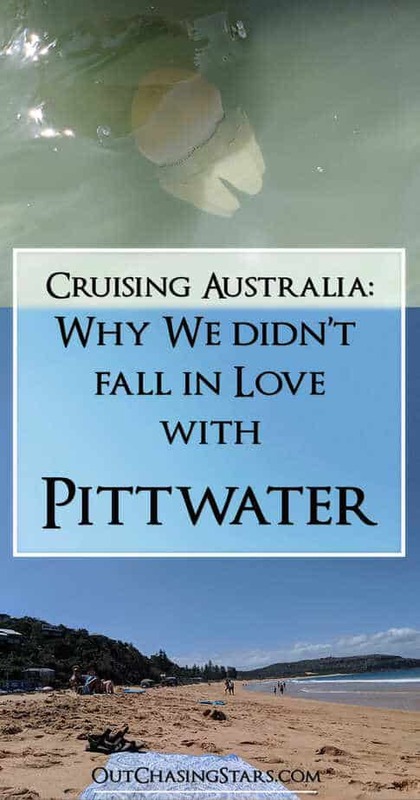 Firstly, some of our Aussie friends oversold Pittwater. We didn’t love it like our friends said we would. 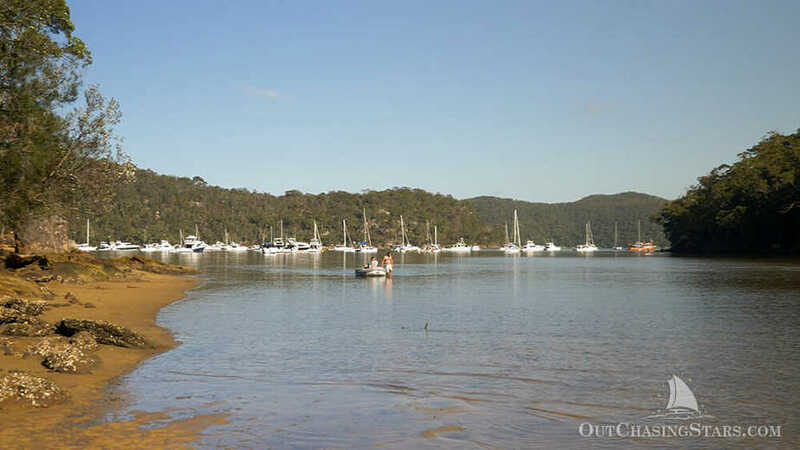 The feel of Pittwater is boating, fishing, and drinking. We can do all these things in much prettier places. The jellyfish limited our activities because we love to swim! I would have liked to see some hiking trails, and I don’t think we did enough exploring to really do it justice. And it was just way too packed. We are not fans of the crowds. 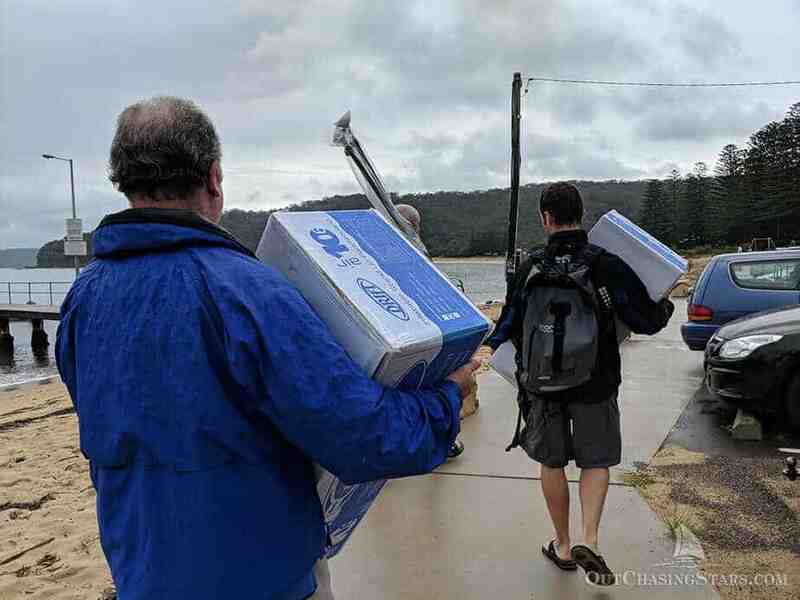 To make your holiday better, enjoy Pittwater outside of the peak season – summer. 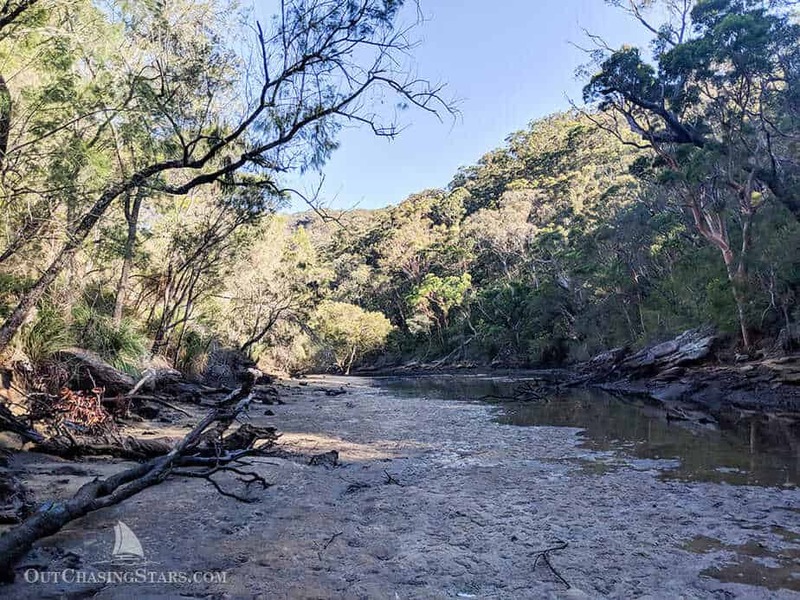 See the link below for Viki’s experience in Pittwater – much different from ours! 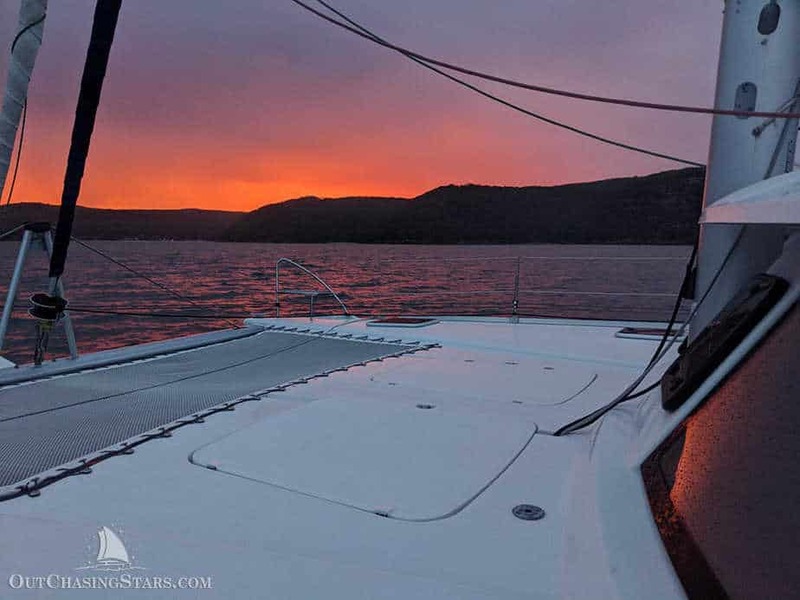 My friend Viki of Astrolabe Sailing chartered a boat in Pittwater and had a lovely vacation. Here’s a link to the government mooring maps, but it’s more for private mooring fields. There is a Cruising Broken Bay Guide (we did not use it). 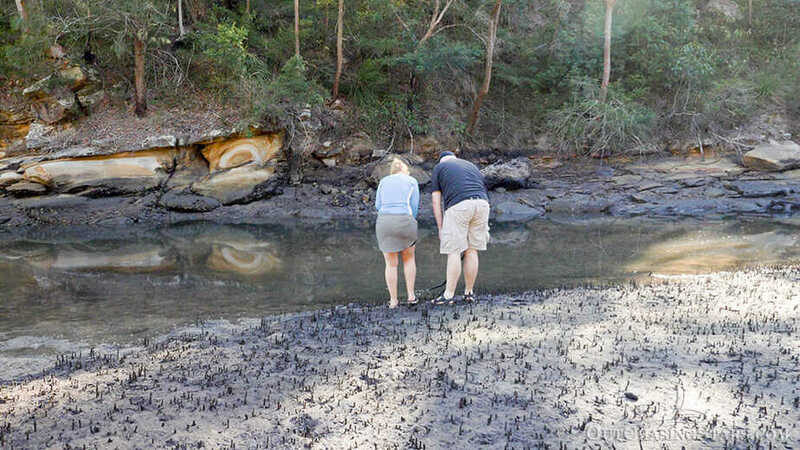 An article on Jellyfish in Pittwater. There are some good places in the area, but we found the crowding too much for us. We’re Queenslanders. We planned on sailing a number of places there only to find a sea of mooring balls. It is a bit of a marine highway, so if you’re used to country roads it isn’t fun. However people who know no different like it. You can of course rent a mooring and take advantage of some superb land touring. Also, if you need anything marine done, there is about everything you could want. PS. If you want to sell your boat there, DBY are the best brokers and handle all the import issues and hassles. 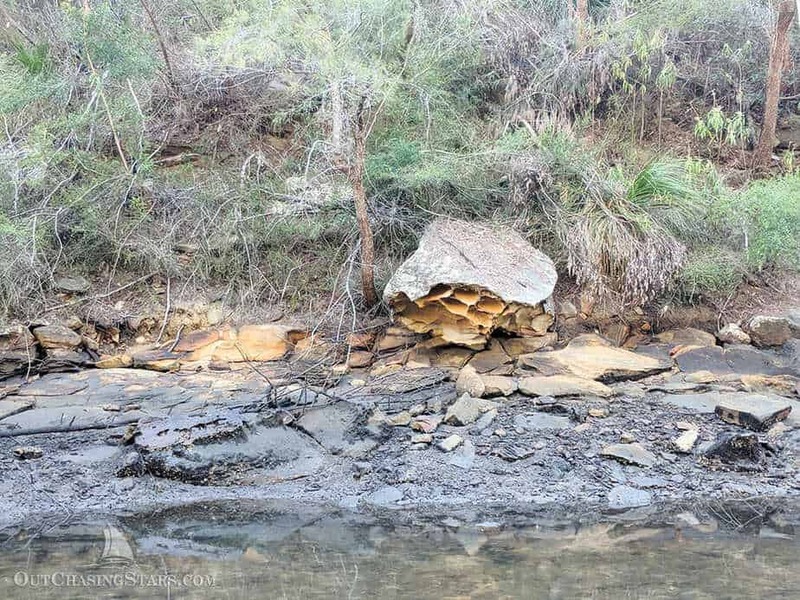 We visited Pittwater for a week from Jan 18. By the next Monday the crowds have all but gone. Don’t need to stay in Newport, it’s still the suburbs of Sydney. However the Basin opposite Palm Beach is beautiful. We had 8 boats in Rufuge bay. The waterfall is right in the middle over the little beach and was gently trickling, being high summer. The beach and rocks have historical significance being the training and departure point for Z unit and the Krait in ww2. We loved Castle bay, where there are only 4 moorings. 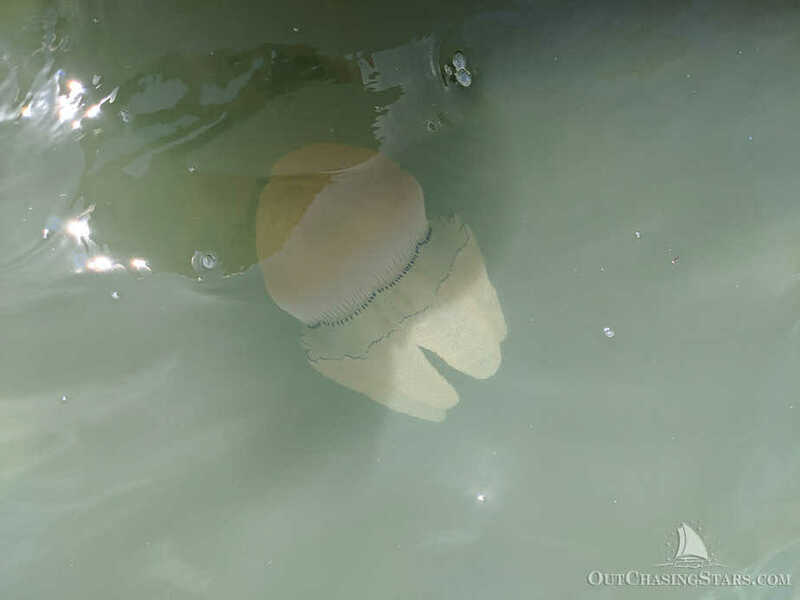 We swam every day rarely seeing Jellies in the mooring areas, however we did see them in Pittwater and around the Akuna marina. Whilst we’ve never seen the sights you have, I guess we say, this National Park is virtually right in our biggest city and that’s amazing. As a Melbournian, it is unlike anything we have and a great learning ground for the novice cruiser or sailor. Glad you enjoyed it! It’s a shame we visited at such a bad time. Wow those jellies are massive! 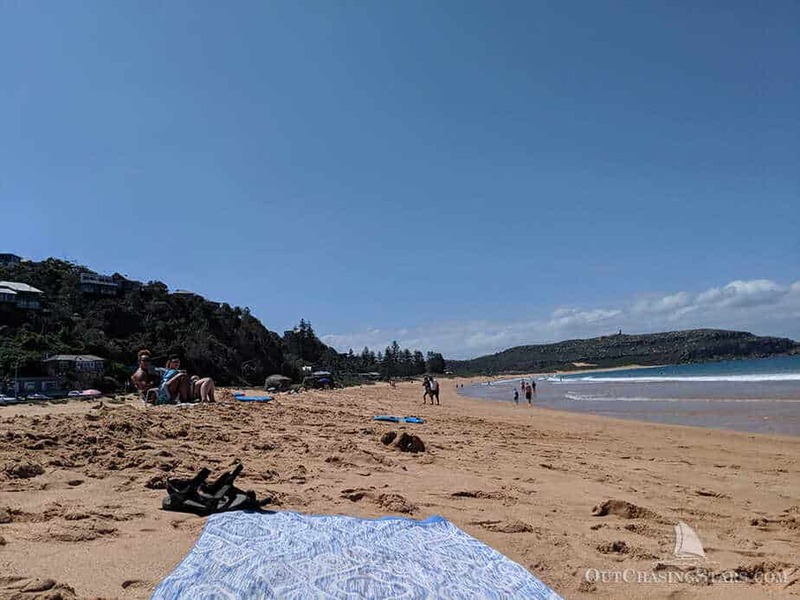 There were blue bottles at the beach the other day (similar to man o wars), small and I still went in…pittwater is super crowded, but Andy and I typically grab whichever mooring is free and have not seen an owner yet…but we stay near the boat when we do so. I hope you enjoy the rest of your Australia time. I’m jealous of your washing machine. Yes the jellies were huge!! My washing machine is amazing! Do blubber.jellies sting? What was the special delivery? They do sting. Our special delivery was paddle boards!